If you’ve only got 24 hours in Hong Kong, here are the things you absolutely have to do! 1. Use the Chinese internet and see if Homestar Runner is censored: Any good traveler knows about Chinese internet censorship, but if you went and visited Homestarrunner.com in Hong Kong, would the government actually try and stop you? Who knows, but while you’re there, maybe just go ahead and check in on Homestar and the gang! That is, assuming Xi Jinping doesn’t have it out for them. 2. Trip over an extension cord at the night market: The city’s night market is the perfect after-dinner attraction, home to a darkened labyrinth of extension cords just waiting to snag your ankle and launch you through the air with your roast goose in hand. If you don’t end up flying head-first into a fish tank and looking like a dumbass in front of hundreds of locals, you’ll miss one of the city’s most cherished traditions, so give it a try! 3. Squint until it looks like New York: Whether admiring a stunning view out of a hotel window or walking down a bustling street, locals and tourists agree that there’s no better way to see the city than to squint through your eyelids until you see something that looks like New York. By simply constraining your vision to one blurry slit, you can see the Big Apple totally free of charge. 4. Marvel that Hong Kong is truly the city where East meets West: No trip to Hong Kong is complete without marveling at length at the fact that the city is where East meets West. Whether you’re getting food in the city where East meets West, strolling along the harbor in the city where East meets West, or sleeping in the city that is truly where East meets West, never forget that you are, without a doubt, in the city where East meets West. 5. 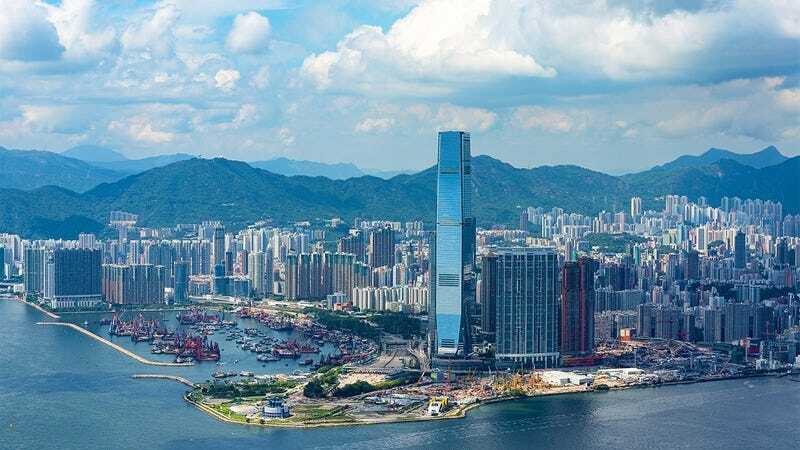 Try your best to colonize it: Hong Kong has a long history of being colonized and occupied by other countries, so hey, you might as well give it a shot! While it may prove difficult for just one person to colonize Hong Kong, you never know what could happen unless you try!